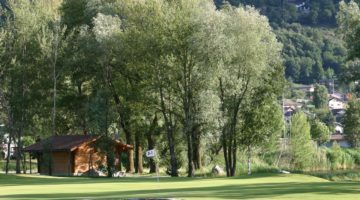 This 18-hole Golf de Sierre course in Valais lies to the east of Sion, close to the Pouta Fontana nature reserve. The alpine views in Sierre are a delight to behold, with flourishing wildlife providing its own natural spectacle. Numerous birds cheerfully sing throughout the day, while a diversity of vegetation provides welcome shelter for many species of animals, including beaver, foxes and deer. The course itself is very demanding, not least because of its many trees and water hazards. 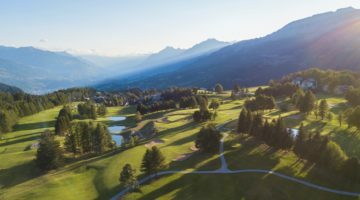 If you want a peaceful, natural round of golf, come and visit Golf de Sierre. Members of ASG Clubs, members of international recognized clubs/associations, ASGI and AVG members with Course Permission are welcome.